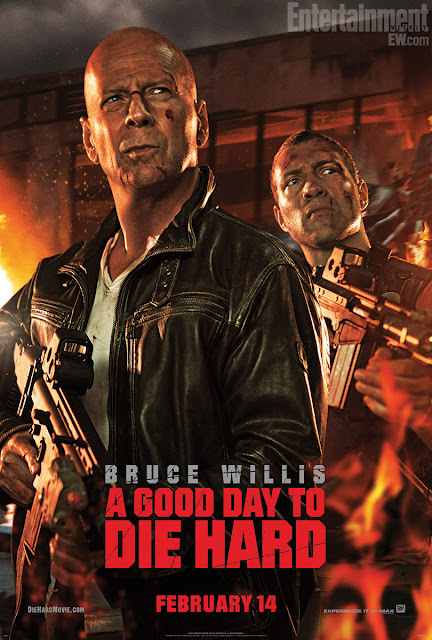 A Good Day to Die Hard (2013) is the fifth installment of the Die Hard series. It sparked interest with a teaser poster declaring "Yippie Ki-Yay Mother Russia." The Russians have an important political prisoner who has dirt on an rising Russian political player. The FBI sends in Jack McClane to try and get him back to the U.S. Believing his son is a delinquent, John McClane gets news of his son being put in prison and decides to go save his son. It ends up being about terrorists and money, surprise! Yeah, the twists in this film are just stupid. They are either easy to see or completely out of left field or both. This is combined with a paper thin plot (it seriously would take only a few sentences to summarize the whole thing) make this movie dull. However, it does have some good father-son moments that at least bring a little life to the Russian stereotypes and drawn out action scenes. 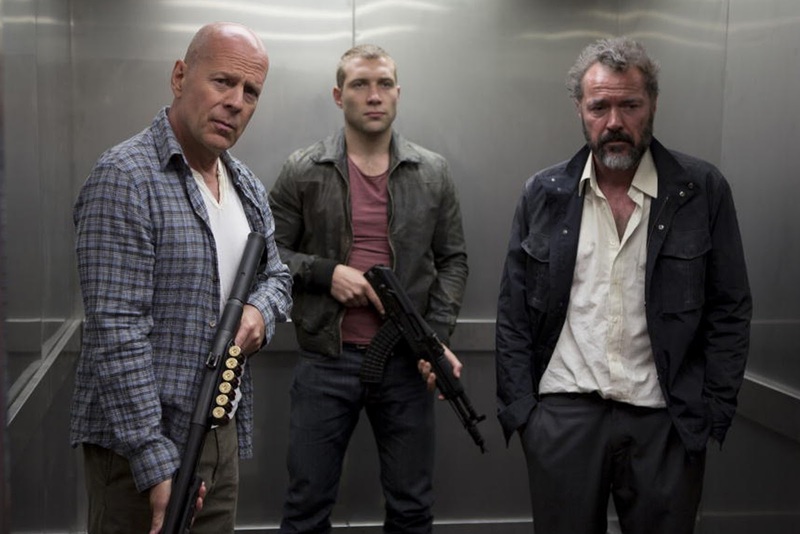 John McClane is going to save his son and try to repair their relationship. Bruce Willis actually has some touching scenes that were sadly few and far between. Most of the time he's stuck spouting trying to hard punchlines and one-liners. Oh how the mighty have fallen. 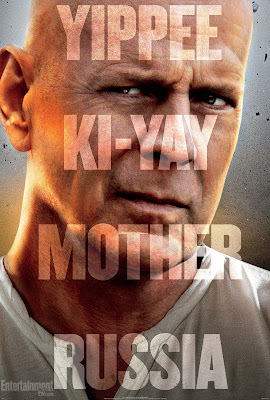 Jack McClane is John's son who is a CIA agent. He is clearly an up and coming action star who has a little trouble emoting. He certainly had fun with those fight scenes though. 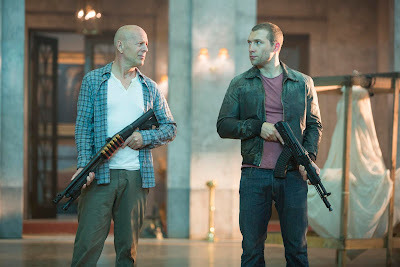 Komarov is the Russian scientist that Jack McClane must extract to the U.S. Things become less simple as more is revealed and he insists they get his daughter out of the country as well. 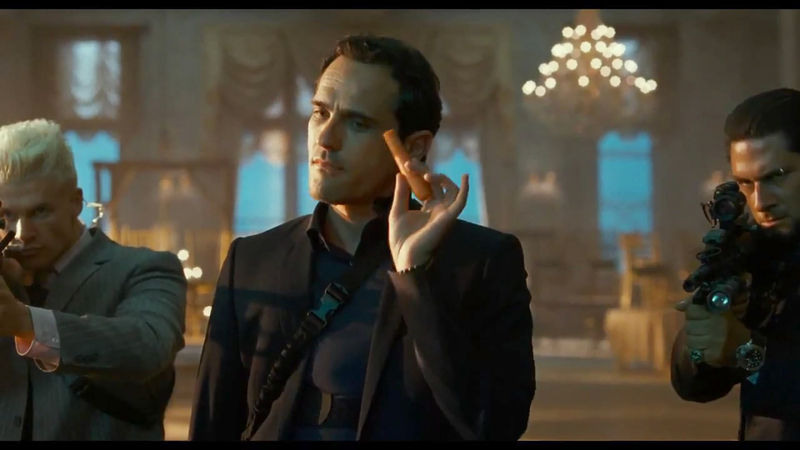 Lucy McClane only has a few scenes in this movie and I think that's a shame. 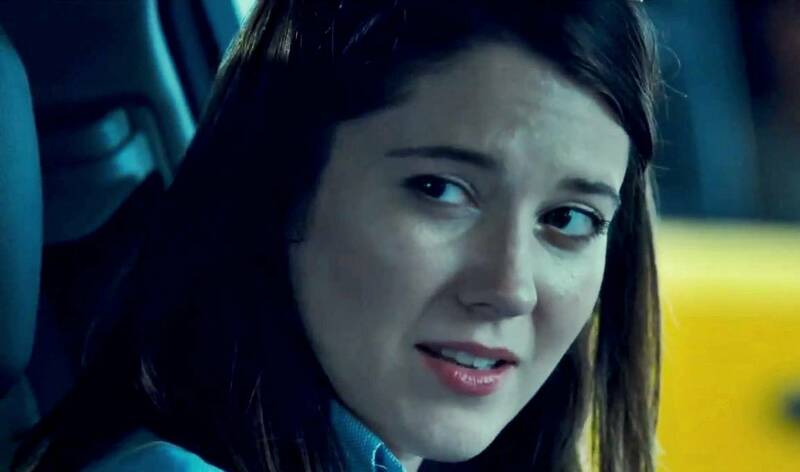 She brings a real brightness to the movie and I saw a lot more potential for comedy if she'd been kept around a little longer. Psychotic Hot Daughter a.k.a. Irina is Komarov's daughter who's involved in the plot surrounding her father. I don't feel too bad about spoiling this as it is really obvious. Unfortunately, much like hot asian girl from the last movie, she's here for eye candy. However, she does have a great crazy Russian femme fatale vibe going. Power Mobster a.k.a. Chagarin is an evil member of the Russian government who is in league with criminals. There are several monument shots of Russia and a crowded freeway ends up a kind of a plot point. Unfortunately all the Russians in this movie tend toward the bad 'commie' stereotypes from the cold war. It doesn't quite one-up the overblown ridiculousness at the end of Life Free or Die Hard, but it trues so hard. The father-son conversation at the end was cringe-worthy. However, we did get to see Lucy McClane again and I'm always for that. Even if it was rather superficial and pointless. The first car chase is way too long and it just didn't hold my attention. Oh, and I almost forgot about the radiation neutralization gas... That was... something. Anyway, action fans may enjoy this, but I've nearly forgotten it already. This movie may have deserved lower, but I really can't hate it. It had me laughing ironically at some of the over the top stunts and terrible dialogue. Not to mention the sheer amount of harm that John once again soaks up in this film. As usual, like its nothing.